The CLA, the lowest-priced Mercedes in the U.S., helped the brand widen its year-to-date lead over BMW. DETROIT (Bloomberg) -- Daimler's Mercedes-Benz brand sold 4,895 of its $29,900 CLA coupe in the car's first full month of availability, helping the brand post a 25 percent October gain and double its U.S. premium-sales lead. Total sales for Mercedes rose to 30,069 vehicles, as E-class deliveries climbed 23 percent from a year earlier, Daimler said in a statement. BMW Group's core brand reported selling 27,574 vehicles, a 4 percent increase. 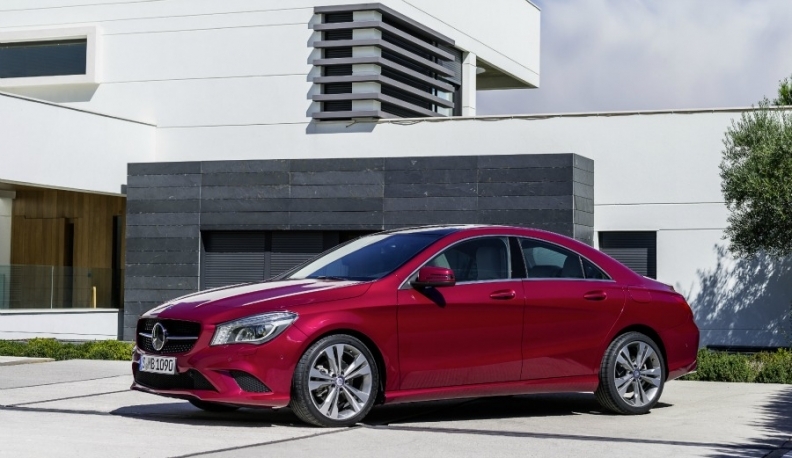 The CLA compact, the lowest-priced Mercedes in the United States, helped the brand widen its year-to-date lead over BMW to 4,986 vehicles, from 2,491 through September. The tally stands at 245,125 to 240,139 as Mercedes seeks to end BMW's two-year reign in annual sales. Daimler CEO Dieter Zetsche said in July he expected his company to come up short again in 2013. BMW's October gains were aided by its 5-series sedans, with a 19 percent increase, and the X1 compact SUV, with a 60 percent jump, according to a statement from the automaker. The figures don't include Daimler's cargo vans and Smart cars and BMW's Mini brand, which aren't luxury vehicles. BMW's status as annual leader for 2012 was based on reported sales. By vehicle registrations, Mercedes topped BMW last year, according to researcher R.L. Polk & Co. Through this June, owners had registered 141,724 new BMW vehicles in the U.S., compared with 134,326 from Mercedes, according to Polk. Toyota Motor Corp.'s Lexus, the top-selling luxury-auto brand in the U.S. for 11 years through 2010, posted a 14 percent increase in October. Deliveries rose to 22,719 for the month and have gained 12 percent to 213,479 for the year, the company said in a statement. General Motors Co.'s Cadillac reported a 10 percent sales increase to 14,792, on demand for the new ATS and XTS sedans. Cadillac sales for the year have climbed 27 percent to 148,206, GM said in a statement.